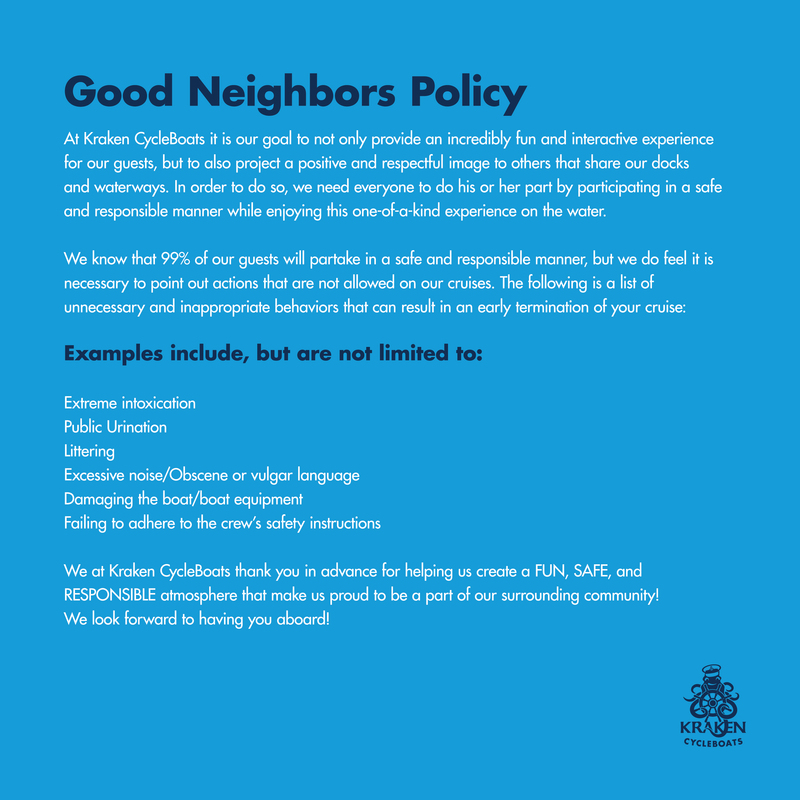 Our dream since day one was to bring the Kraken CycleBoat to our community. Two years ago, we were able to do just that. However, we should set the stage for what you can expect. Imagine a perfect day or night out on the water. The warmth of Tampa is a perfect mix of not too hot, but nowhere near cold. The city is electric as lights bounce off the water, and people are moving about. 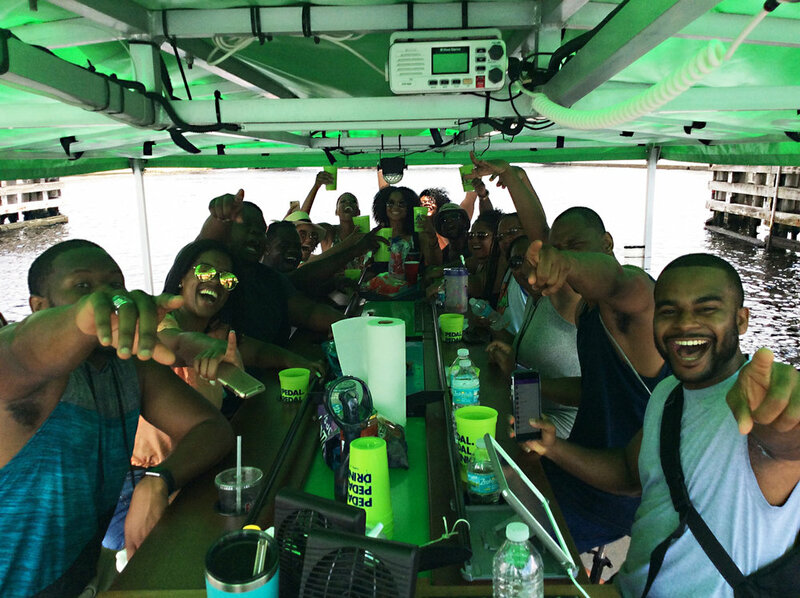 On the cycleboat, music plays in the background and the conversation of friends and family never stops. Pedaling is the easy part, and washing down some cold beverages is even easier. That's a Kraken CycleBoat experience — one that you'll never forget. 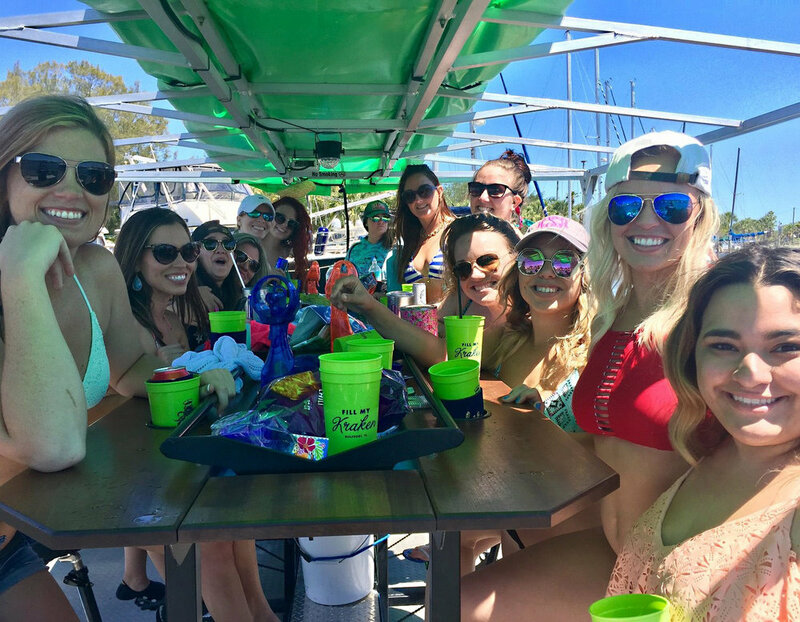 Here in Tampa, you and your group of friends, family, or co-workers will board the boat from the docks at the Tampa Convention Center near the Sail Pavilion outdoor bar. 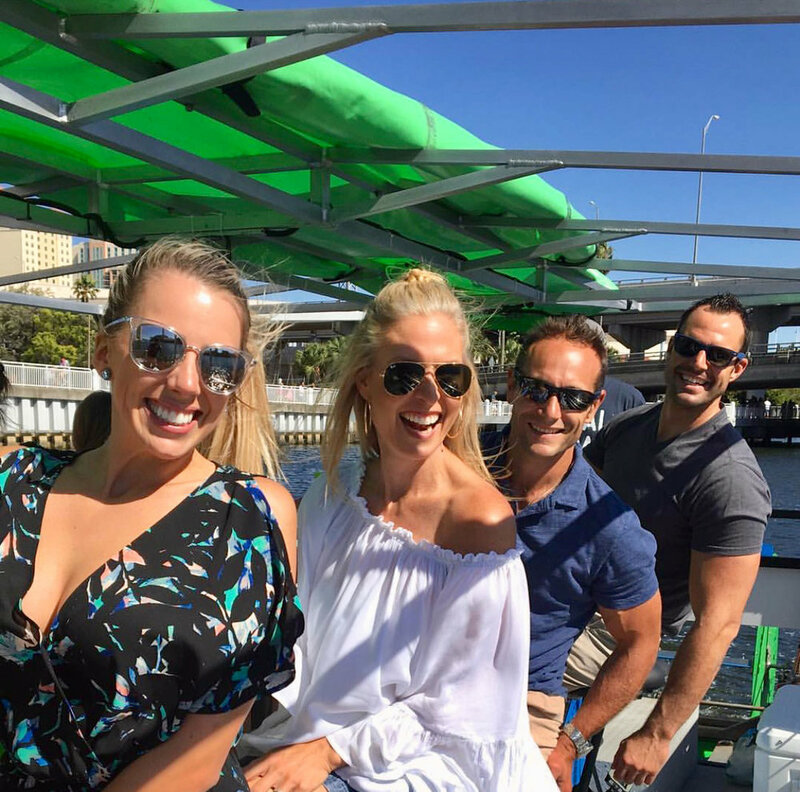 We will take you on an incredible cruise along the Tampa Riverwalk, Curtis Hixon Park, the University of Tampa, and many other downtown Tampa landmarks. The views of the city from the water are incredible, and the energy along the Riverwalk is palpable. You will make your halfway stop at the new and amazingly popular Armature Works. Enjoy an additional beverage or snack as you experience more of what downtown Tampa has to offer. Climb back aboard, reach in the cooler, and crank up the tunes as you cruise your way back to the heart of the city. 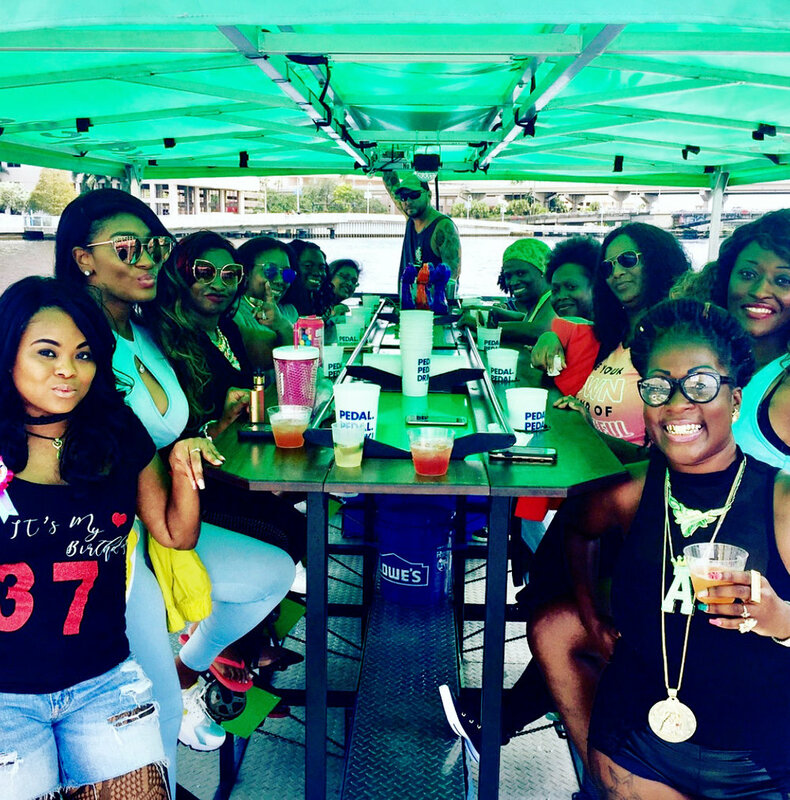 We may be a bit biased here at Kraken, but we believe that Tampa is a must-see city. 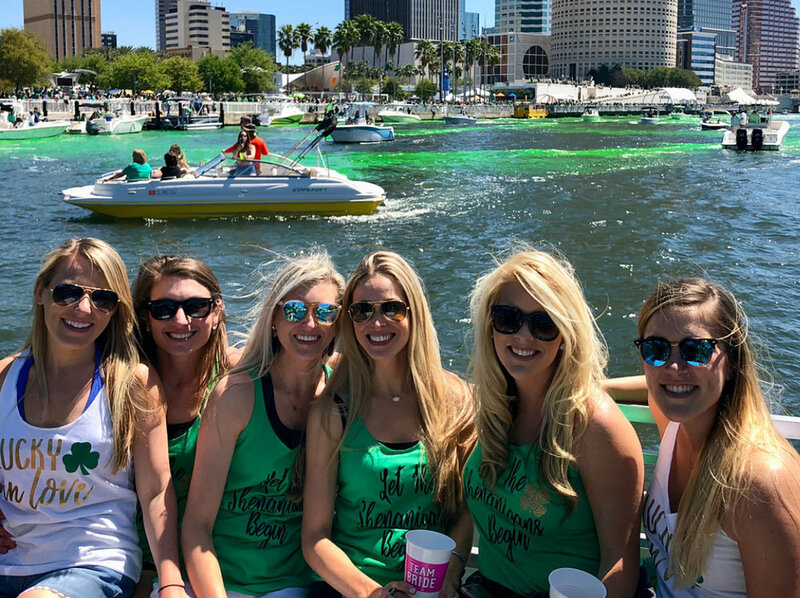 The parks, restaurants, and high-rise buildings that line the banks of the Hillsborough river are an amazing sight to see from the water! Day or night, there is always something to catch your eye along our Downtown Tampa route. Come join us where the Kraken CycleBoat experience first started!